When I go for a casual walk with my camera I was not expecting anything unusual in the usual places. Today, I and my wife decided to go for a walk along the Bow River just to get outside and some exercise. It is one of my walks I do on a regular basis mostly for as I said, exercise. Of course, there are the regular birds in the river Goldeneyes, Common Mergansers, Geese and sometimes a Bald Eagle will fly by looking for the inattentive Mallard. 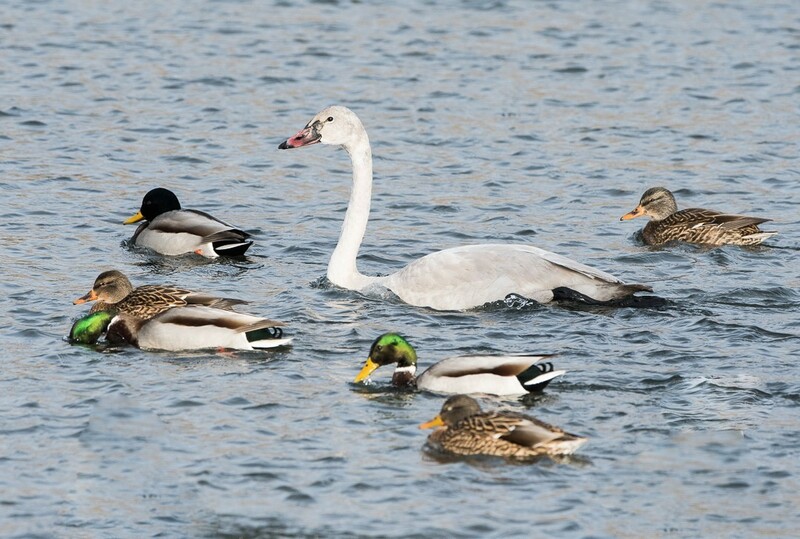 Today, however, there was an unusual bird in among the Mallards. 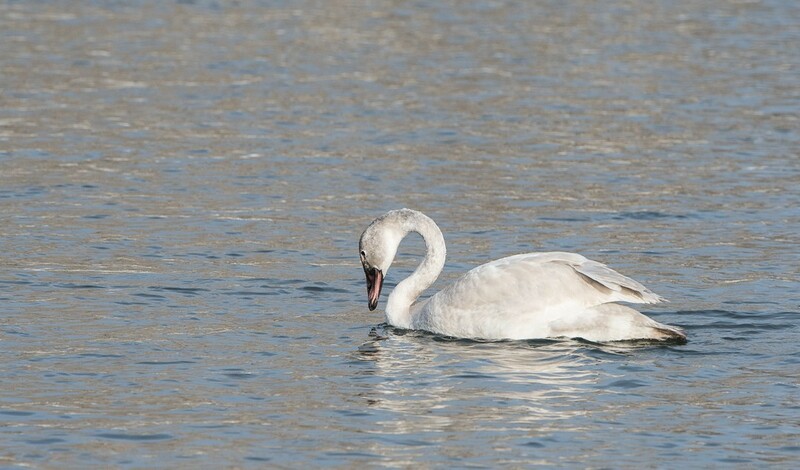 It was easy to spot - a Juvenile Tundra Swan. Although I have seen Tundra Swans before in the winter in the Bow River it was a surprise and an unusual bird to see and photograph. The lonely Swan didn't seem to be injured because it did fly and was eating. I was lucky as the sun was very low in the sky and getting close to setting creating some great light. If you are going for a casual walk always bring your camera as you may see an unusual bird at anytime anywhere.